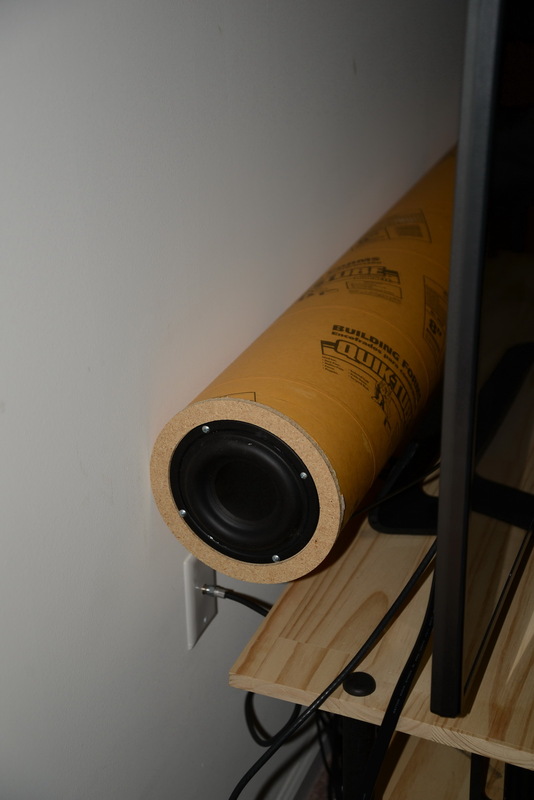 Being in an apartment and not wanting to disturb the neighbors I knew I wouldn’t be able to have any sort of “significant” subwoofer but I did want something. 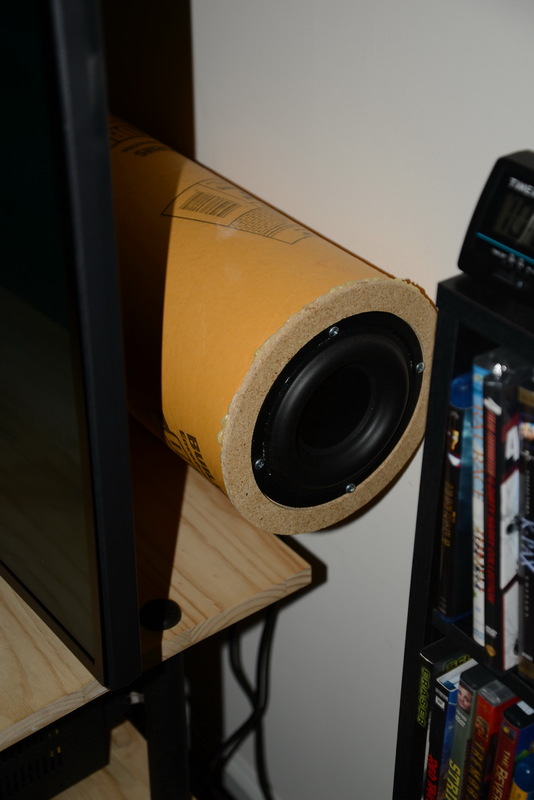 To keep it simple I picked up a piece of Sono tube at Lowes and just put a little Tang band 5 1/4” subwoofer at each end. It’s EQ’ed with a miniDSP 2x4 and powered with a small plate amplifier. 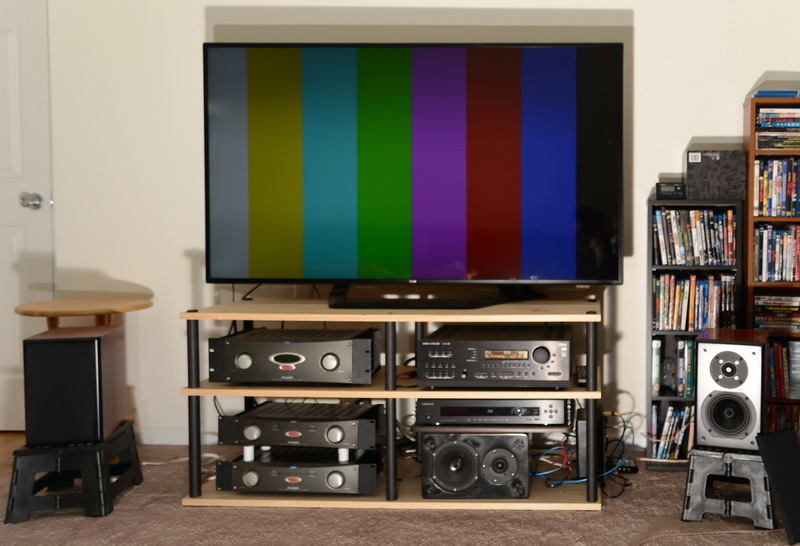 The sono tube just lays on its side behind the TV out of sight when you are in front of the TV watching a movie at least. This was made in a day so not a lot of work put into it and it actually works pretty well. The key is the DSP equalization, I have it flat down to about 25 Hz which of course limits output capability due to the small size of the woofers but’s that’s ok, I can’t crank it up in the apartment anyway. Along with some simple 2-way bookshelf speakers for mains and center plus the PVC surrounds this little system works pretty well. Definitely a lot better than most anything in the low end mass market. It’s good enough for my current circumstances!